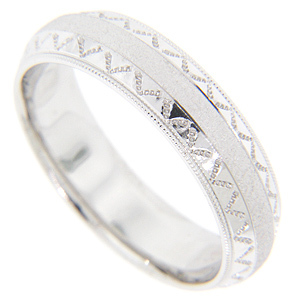 Indented triangular shapes flank either side of the textured center strip on this 14K white gold antique style men’s wedding band. The wedding ring measures 6mm in width. Size: 10 1/2. Cannot be resized.